The highly-accurate Captain America Statue is specially crafted based on Captain America in Captain America: Civil War. Every intricate part as seen in the movie is captured with expert sculpting and individually hand-painted to show off the highly detailed new Captain America suit with battle weathering effects. The collectible statue also features a metal shield with weathering effects. 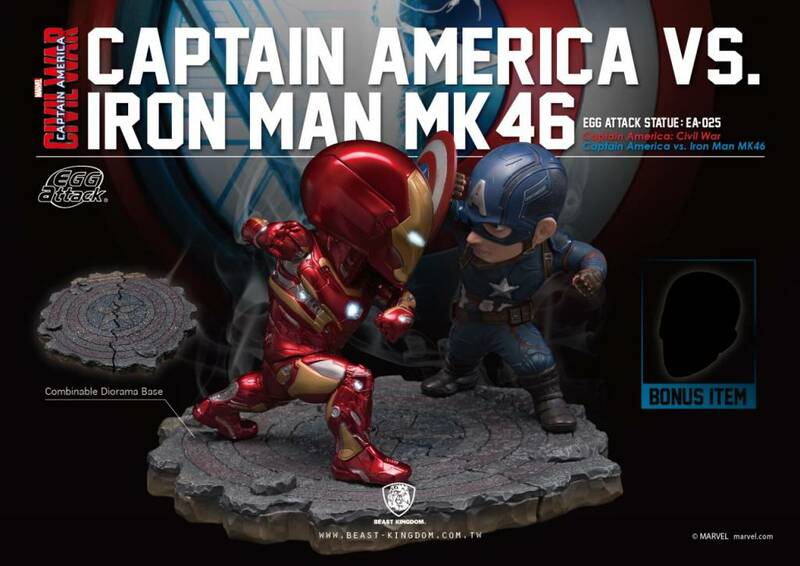 The Iron Man MK46 statue is a highly detailed and specially crafted artwork designed based on Iron Man’s new armor in Captain America: Civil War. Every intricate detail as seen in the movie is captured with expert sculpting and individually hand-painted to show the meticulously sculpted sleek armor with battle damage effects. The collectible statue also features 10 LED light-up points throughout the body. 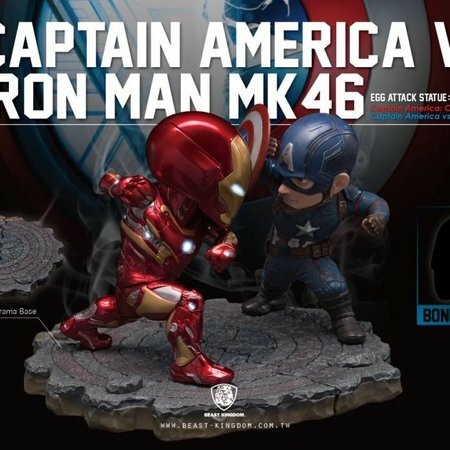 Every “Egg Attack EA-025 Captain America: Civil War Captain America vs. Iron Man MK46 Statue” comes with a BONUS Interchangeable battle damaged head sculpt of Captain America.